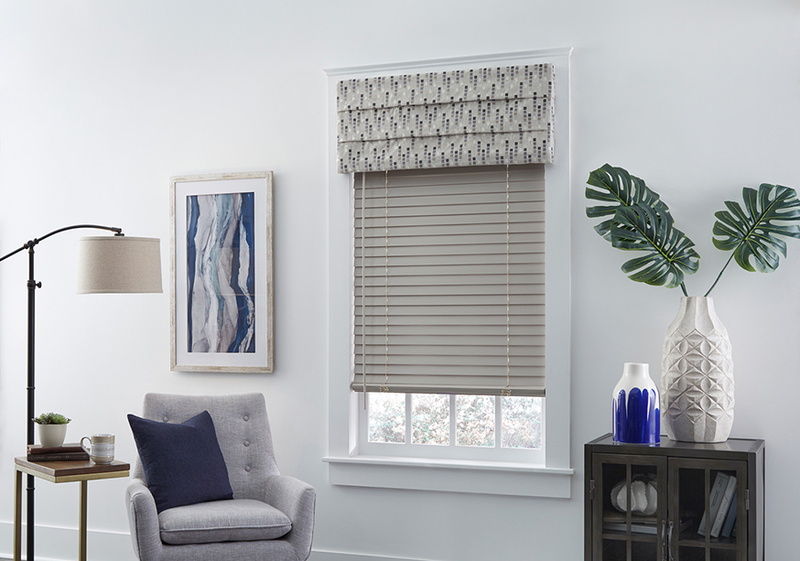 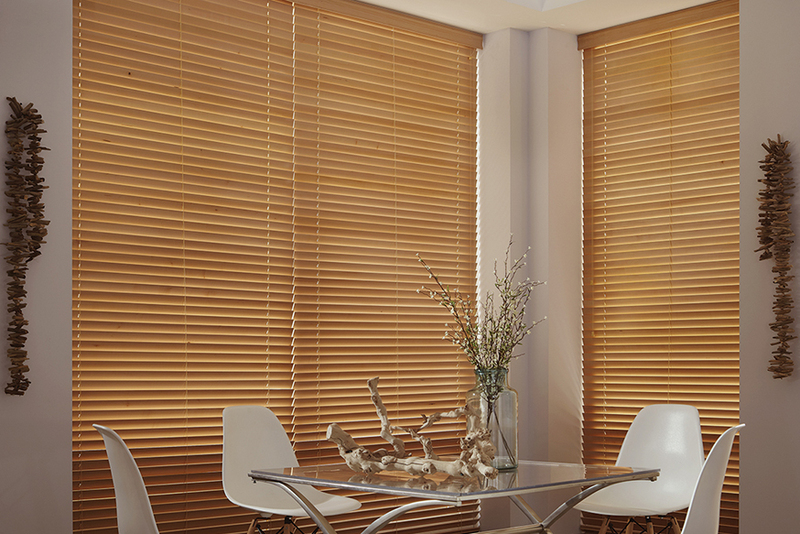 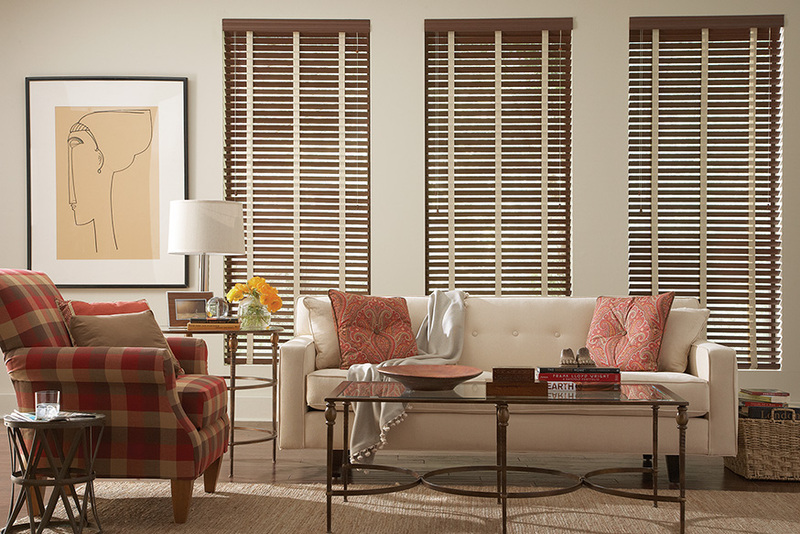 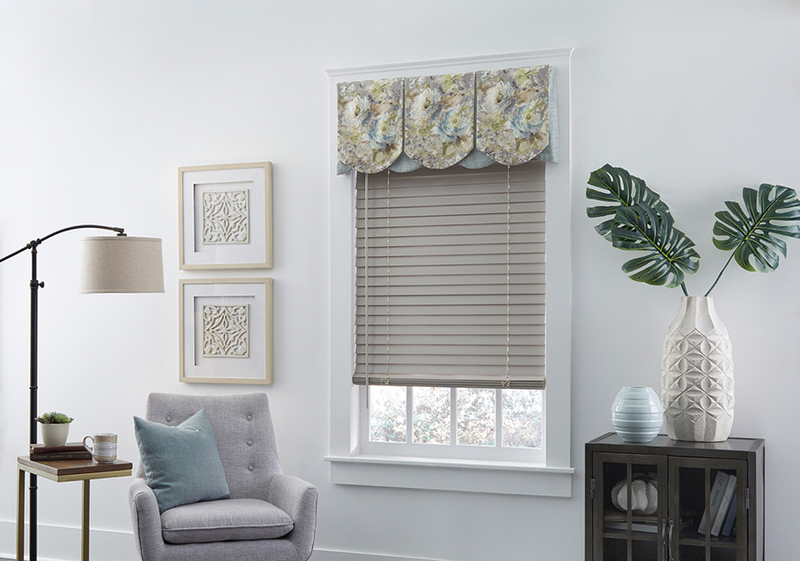 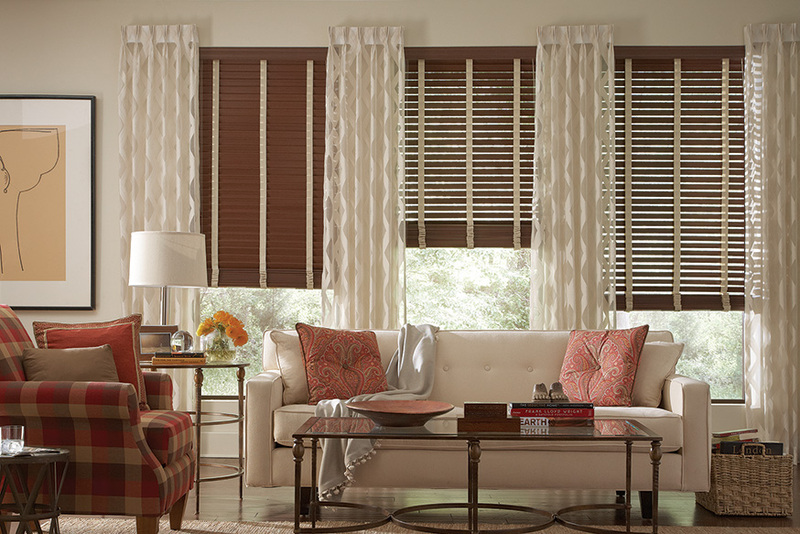 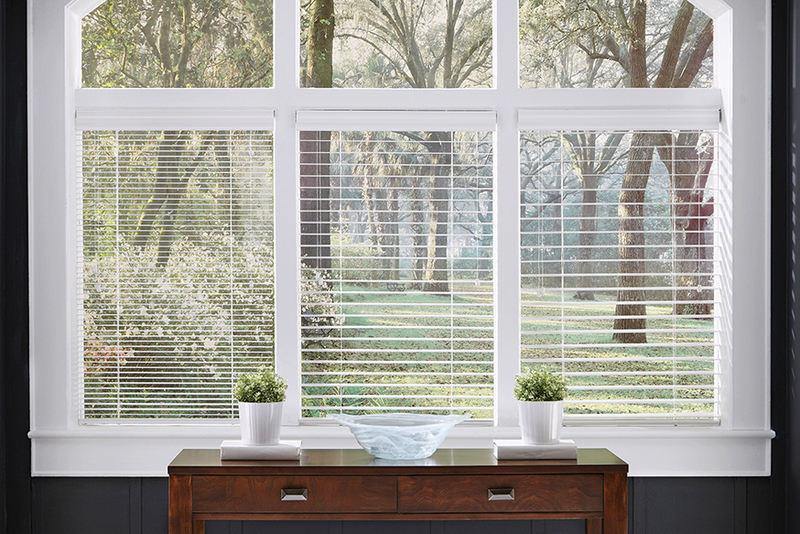 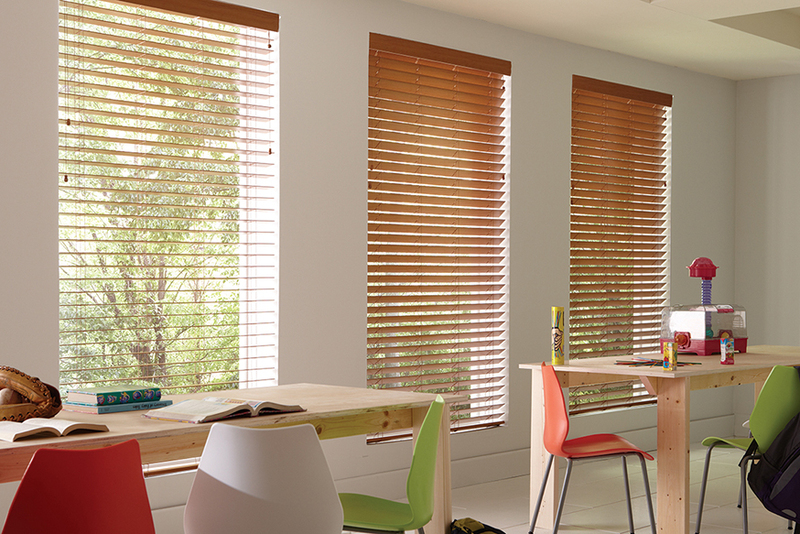 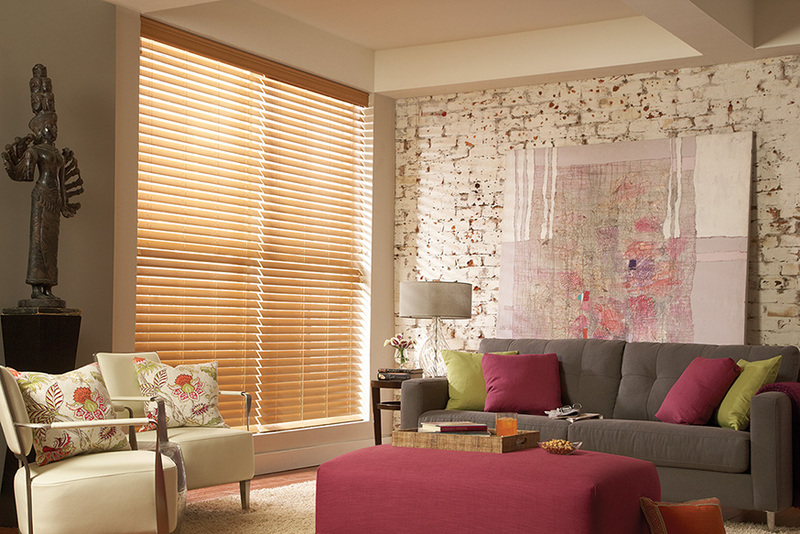 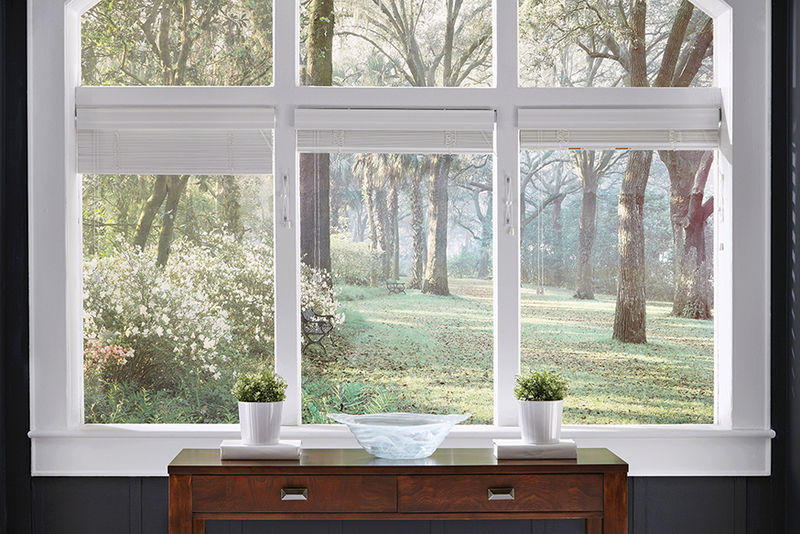 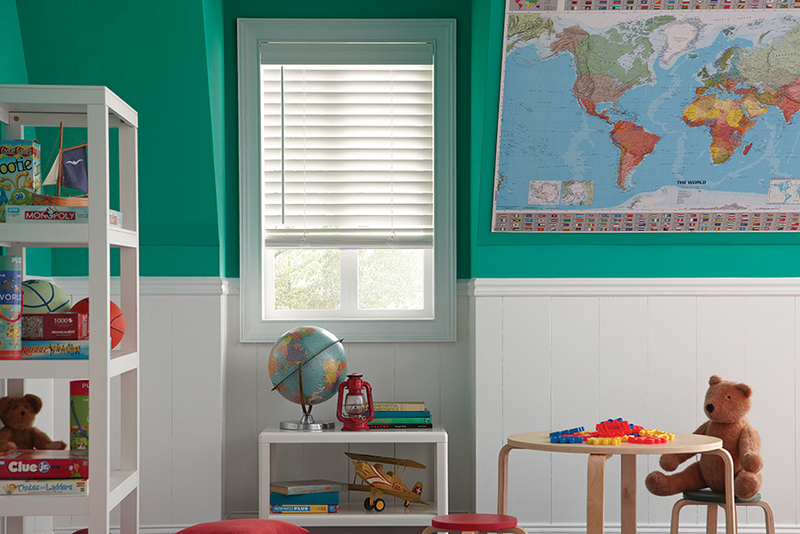 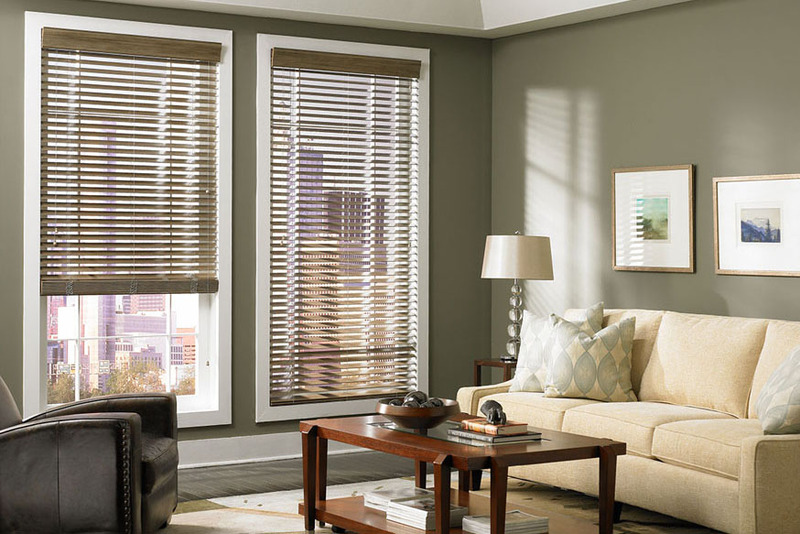 Nature inspires us all, so why not bring in indoors with the beauty of custom crafted wood and faux wood blinds from Lafayette Interior Fashions . 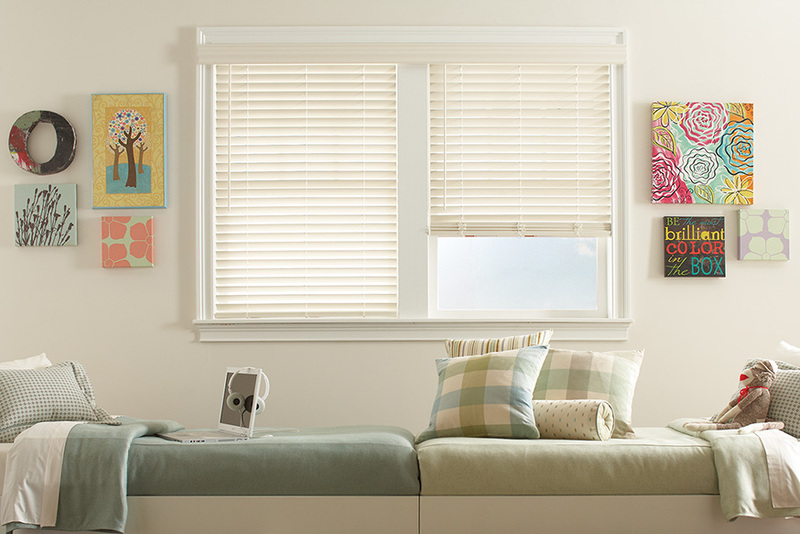 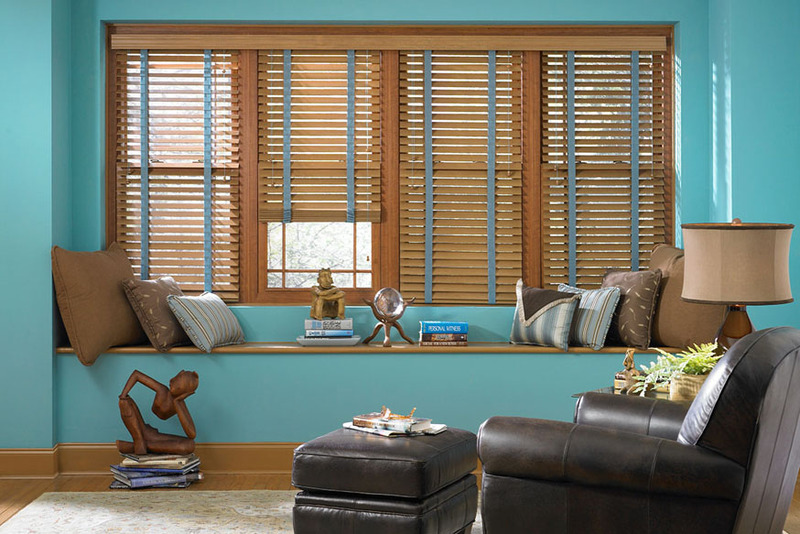 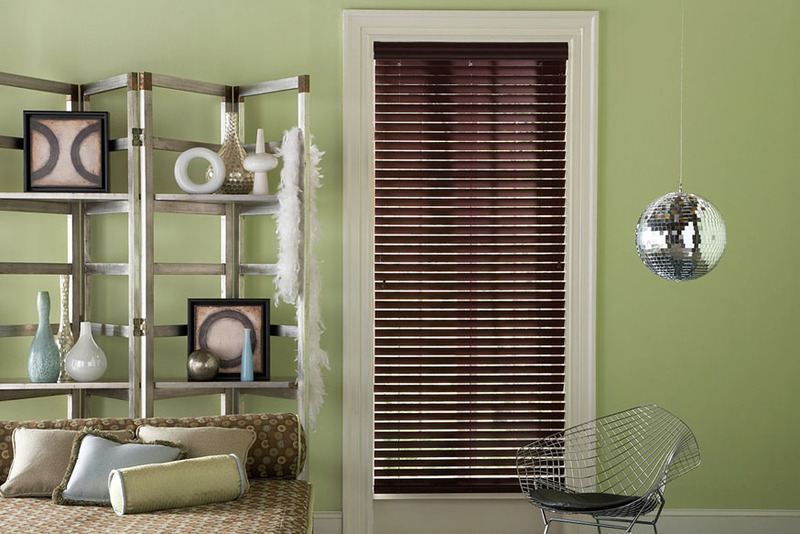 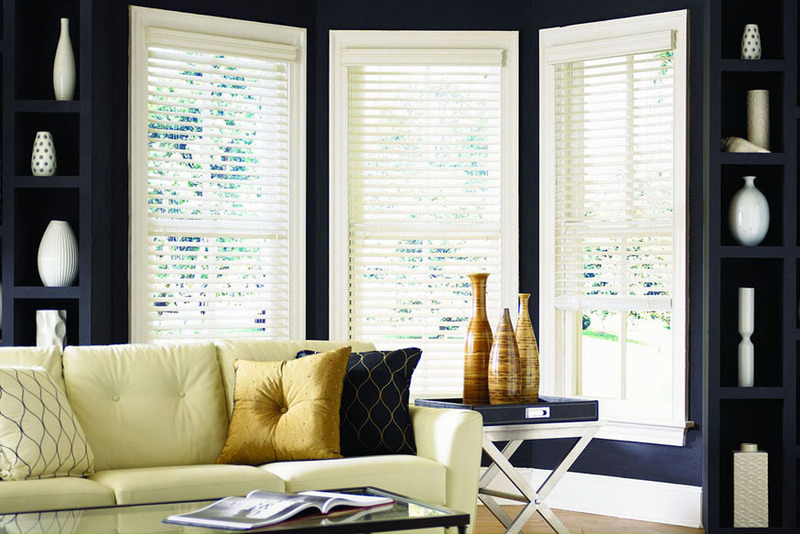 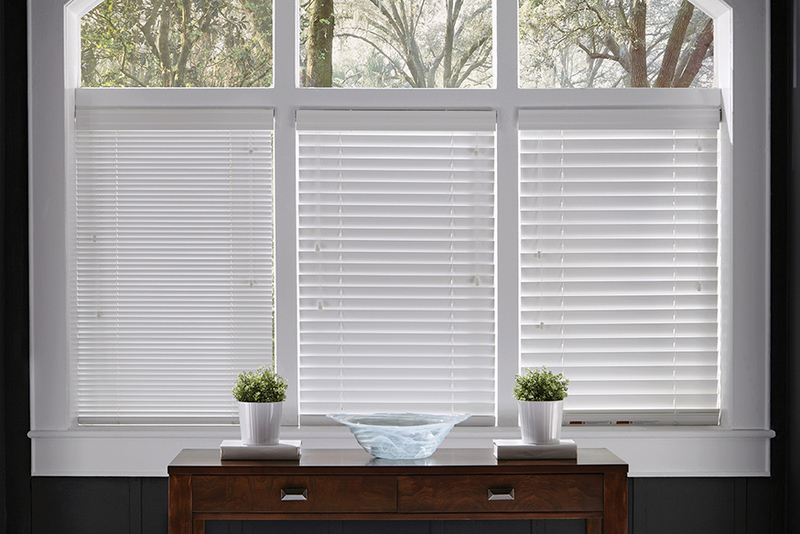 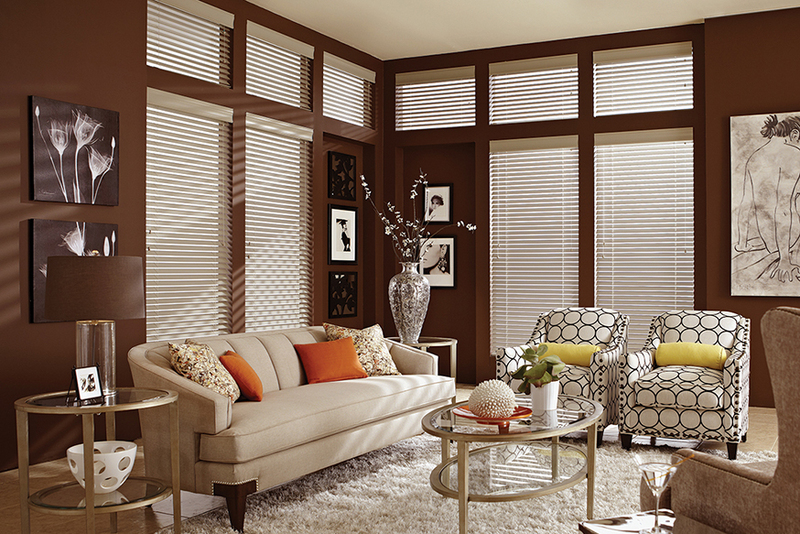 A complete collection of rich stains, designer color paints and a selection of slat sizes will complement any window or decorating style. Enjoy the top quality workmanship, assortment of operating systems and numerous design options that offer you unparalleled beauty, function and versatility. 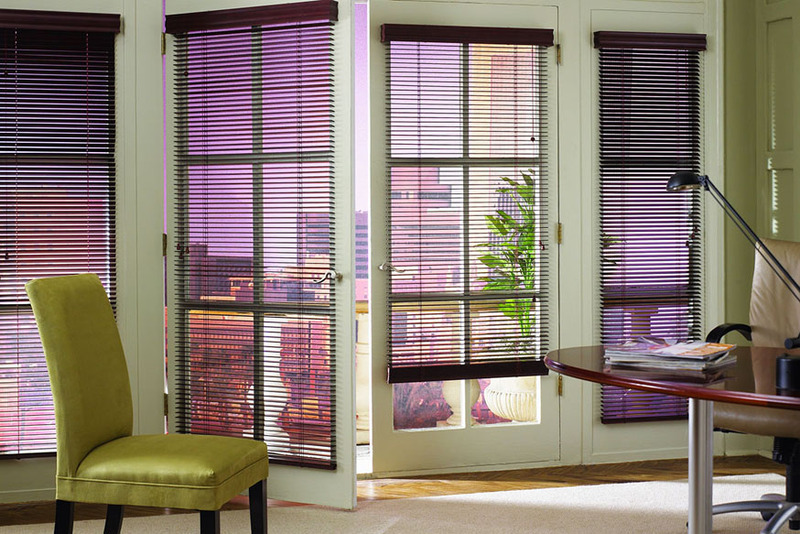 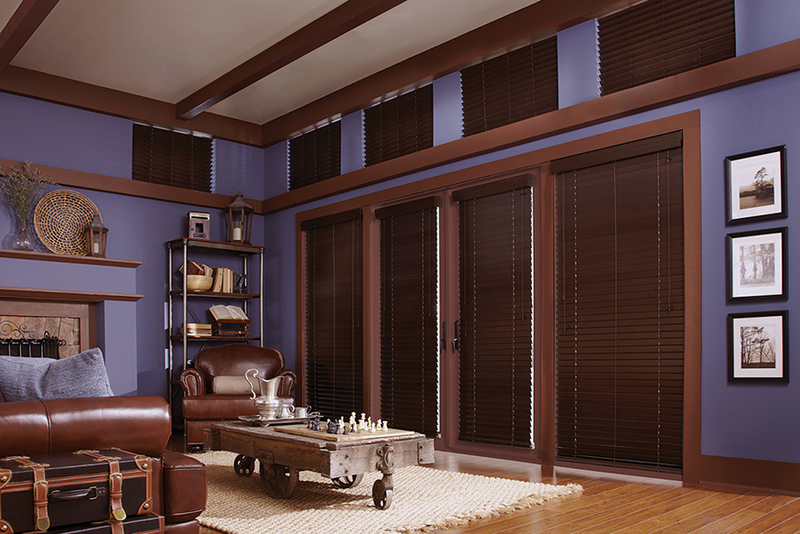 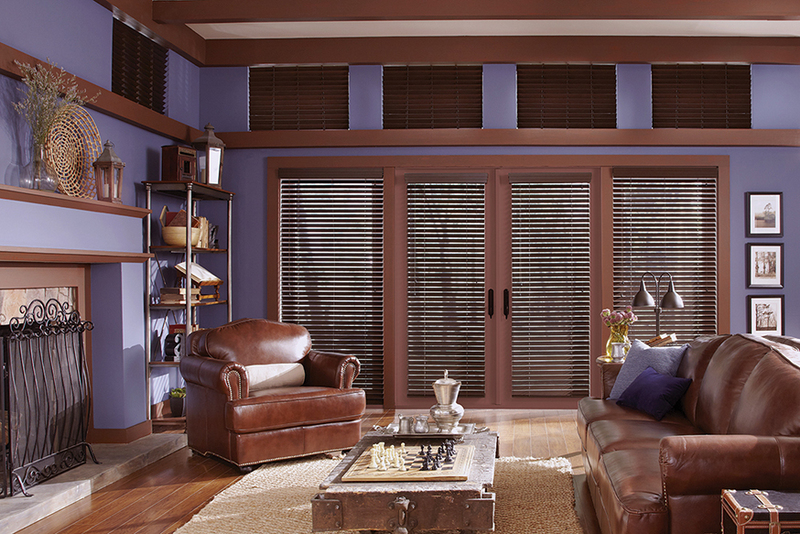 Lafayette's exclusive Light-Ban® slat system eliminates rout holes, so light cannot peak through closed slats. 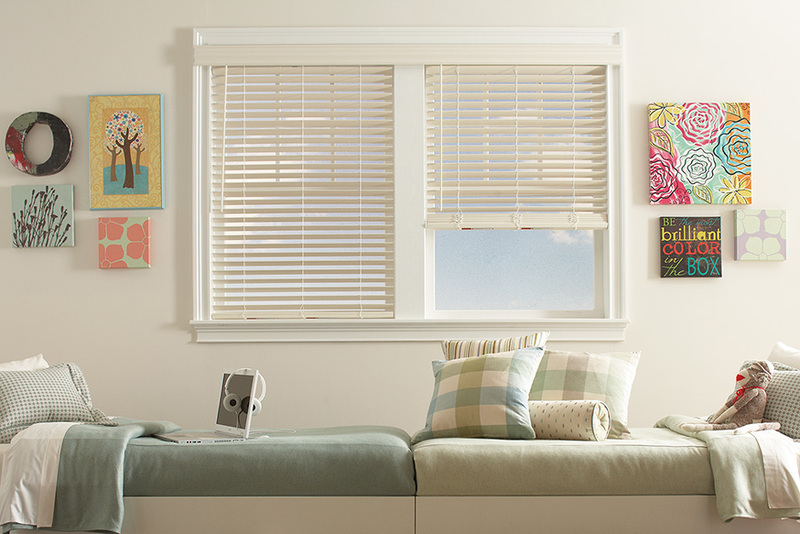 And the EZE-Clean® feature allows each slat to be removed and replaced for easy cleaning. 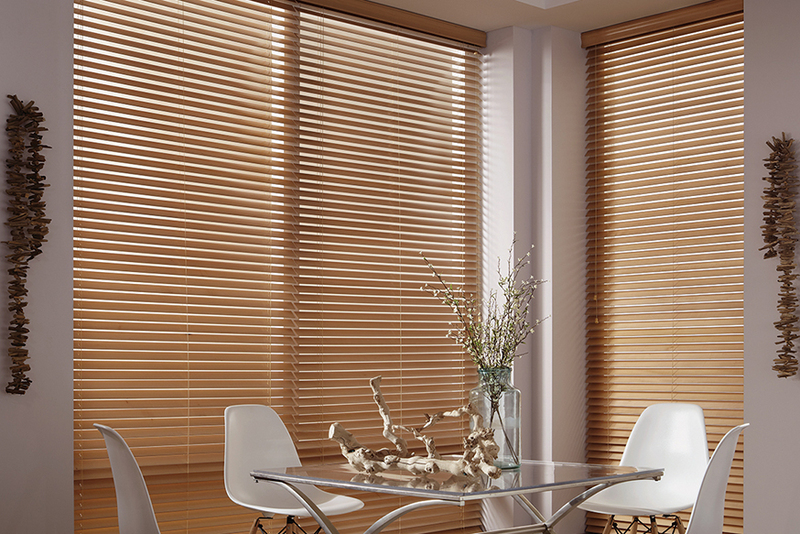 All images on our website are for general information. 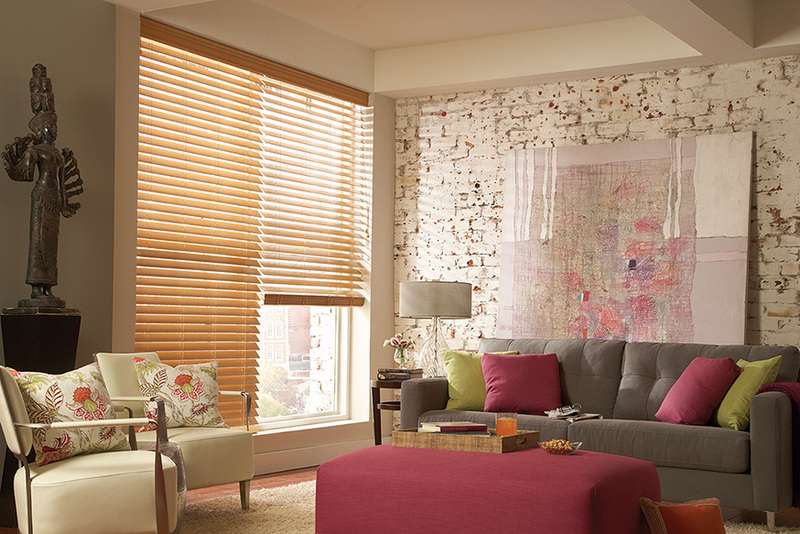 Not all materials are available in all sizes. 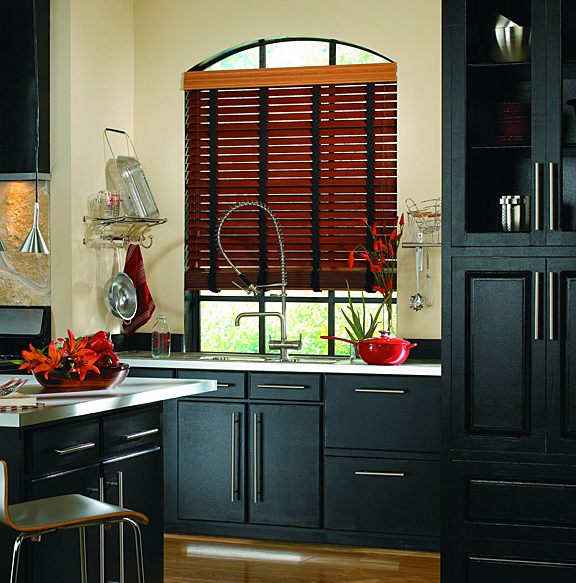 Colors shown can vary from monitor to monitor. 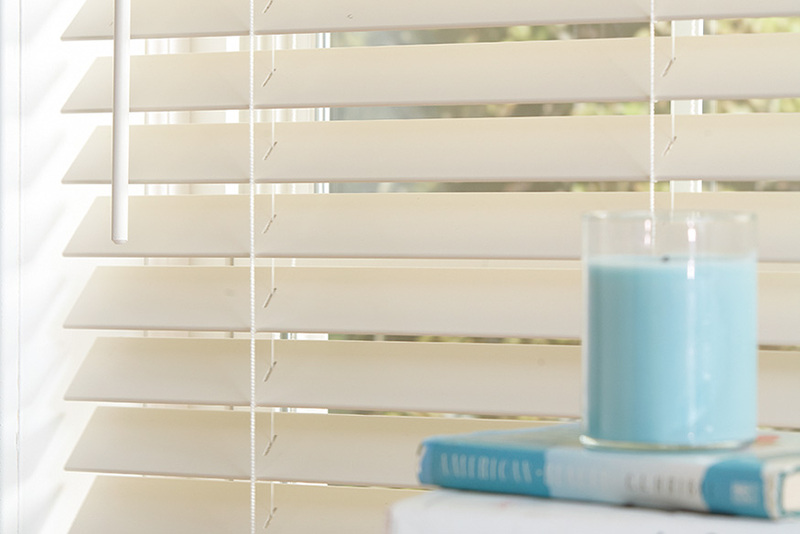 We hope you enjoy our website and are able to get an idea for all that we have to offer, but we know photography can not replace the hands on experience of seeing it for yourself. 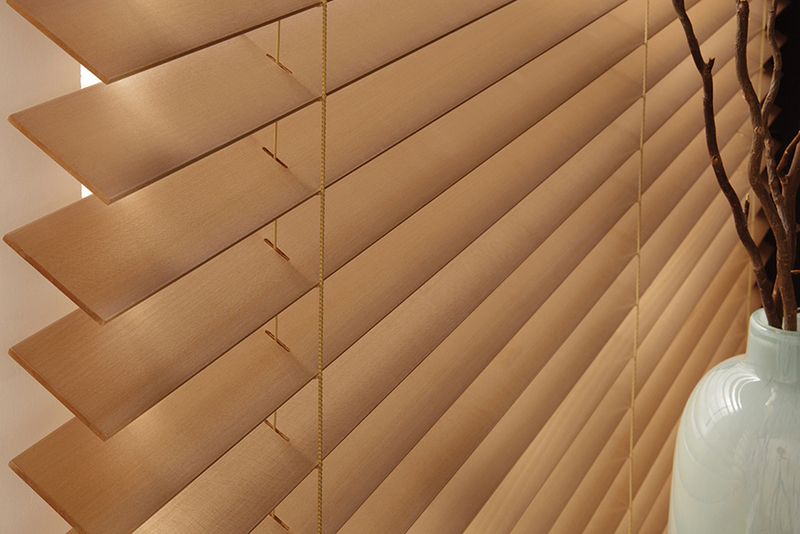 Please see your local Dealer for detailed information. 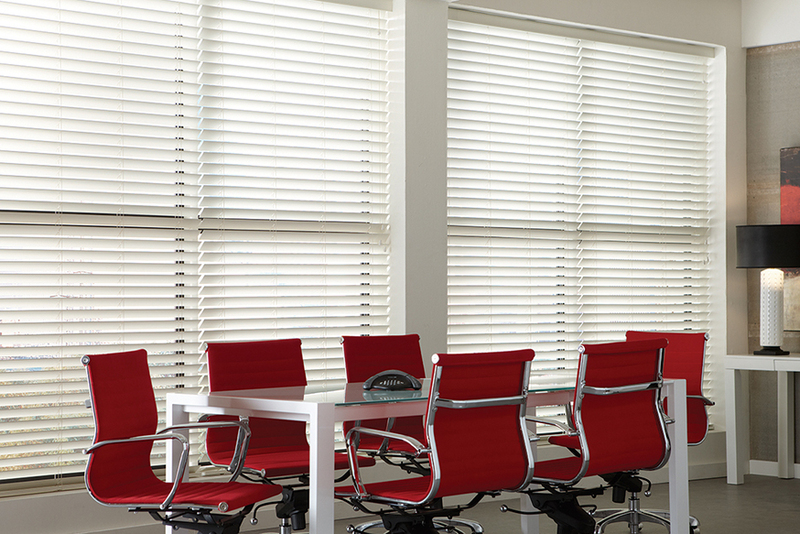 Slat size, Pleat size, Louver size 1", 2", 2 1/2" 2", 2 1/2"
Height: 12-120" Width: 7 3/4-96"
Product Specifications are generalized, as it may vary depending on material selected along with the addition of options; for example decorative tapes, Accu-Rise or motorization. 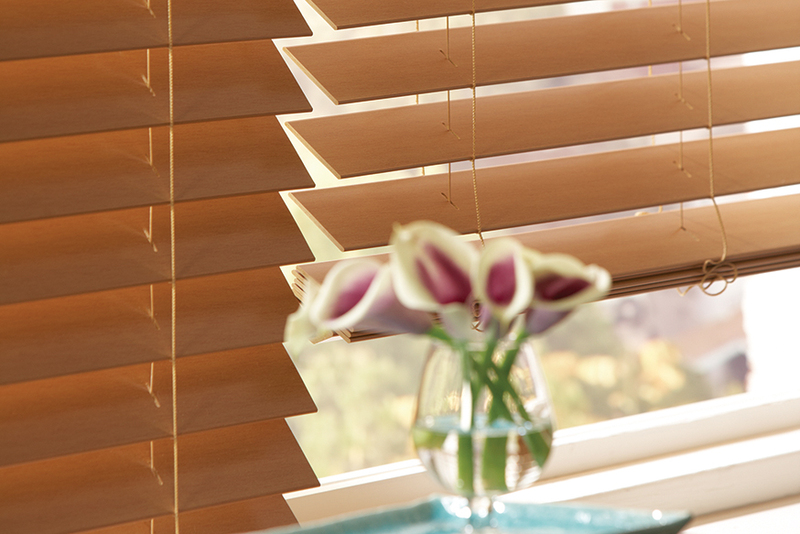 These options or special features could enhance the performance of many products in certain categories.